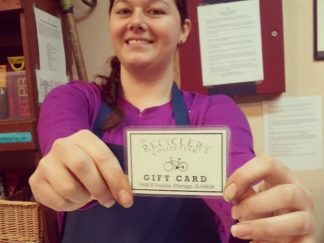 The Recyclery is a 501c3 not-for-profit organization with a mission of promoting sustainability by giving access to tools, skills and opportunities for collaboration. We are reliant on your support as most of our funds come from small private donors and refurbished bike sales. $50 equips an entire summer youth class with helmets. 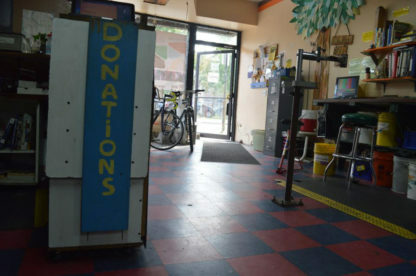 $120 pays a youth to assist an earn-a-bike class. $500 provides job training for seven young adults. $1000 donation partially covers one month’s rent! Does your company match donations to nonprofits? If you’re not sure, find out! It’s a great way to make your donation go farther. © 2019 The Recyclery Collective. All rights reserved.